Popular Books | J.W. Wartick -"Always Have a Reason"
T.H White’s classic Arthurian tale, The Once and Future King is an absolute delight to read. I had never read it before, and I was surprised to see the sheer amount of humor found therein. The depth of the work’s story is immense. Here, I will look at some of the worldview level themes found in the book. There will be SPOILERS in this post. Arthur is an honorable man–and was even an honorable boy. That doesn’t mean he never makes poor choices, but he is ultimately motivated by faith and a desire to take on evil directly. In many ways, the story of Arthur parallels the biblical story of David. Like David, Arthur desires to follow justice and walk in the way of God. Like David, it is illicit affairs which lead to his undoing. Like David, Arthur’s downfall ultimately comes from within his own family. Each has a kind of guide in the early stages of their rule (Merlyn or Samuel), but neither takes on such guidance later in life. Each is guided by faith, and it each attempts to capture a kind of ideal in their monarchy. Their ideals are never quite reached, and it is evident in the story of each that their own choices limit their capacity to reach that ideal. In the end, each turns to God for the final answers. One of the best portrayals of justice in the book can be found in the way White portrayed injustice. The knights are operating under a principle of “Might makes Right.” They expect the lower class soldiers to be slaughtered, while they themselves are so heavily armored they can barely be harmed (as hilariously depicted in an early scene that young Arthur gets to witness). Arthur seeks to go against this principle–to wage war on Might. Yet, even that battle ends in failure as it becomes corrupted. A question the book seems to point us towards is whether violence to overcome violence is a realistic means. The purpose was vain, because it was not pursued alongside God’s will but rather as Arthur’s will imposed upon humanity–the very thing that Merlyn had come back through time (or was it forward?) to discover. Yet that which Arthur wished to bring about–the defeat of Might–was not itself an evil end. Indeed, it is the King’s page who reveals the ultimate judgment on Arthur’s plan: “I think it was a good idea, my lord”–thus said the page; and Arthur’s response: “It was, and it was not. God knows” (644). Ultimately, it seems, justice is defined on God’s terms and humans are incapable of seeing the whole picture. White was an agnostic, but was apparently scornful of the evil he saw in the world. A kind of pessimism about human capacities is found throughout the book. The fact that, in the end, “God knows” is the answer that can be given towards whether humans can accomplish an ideal is telling. Without God, endeavors of that sort are impossible. There are some pretty interesting parables included within the text, particularly in the “Sword in the Stone” section. One of them is from the Talmud–a story in which Elijah travels with a Rabbi and perplexes the Rabbi with his apparent lack of concern for the poor while he aids the rich. Yet this parable shows that God is indeed working towards justice, and a God’s-eye perspective of justice is impossible. Another parable tells a story about humanity as a kind of capstone of creation, while limiting humanity to being an “embryo” for all time- a creature in development. This capacity-laden view of humanity points to White’s worldview once more. Human choices matter, but we so often choose poorly. Here again we see White’s own world creeping back into the novel. The novel was published in 1939, the year World War II officially began, though there was plenty going on before that. It was difficult to see the War coming and think that another age was to be singled out as the “Dark” age. There is a kind of intellectual hubris in dismissing the ideas of the past and seeing one’s own time as somehow enlightened. White did not think that was a route to take. Merlyn (yes, Merlyn, not Merlin) is a character whose interactions with Arthur bring up all kinds of questions. He seems to be guiding a young Arthur towards the attempt to bring about justice in the world, but he also allows himself–seemingly willingly–to be cast aside when Arthur is at his most vulnerable. He only reappears at the very end of the book as a kind of wind. I am left feeling rather ambivalent about Merlyn, who had so much power but who did not ultimately use it very effectively. The Once and Future King is a simply phenomenal book layered with many levels of meaning. There are so many avenues to explore from a worldview level that I’m sure repeated readings will be rewarding. The central theme, however, is incredibly powerful: humans cannot complete their own ideals. We are imperfect. God knows. T.H. 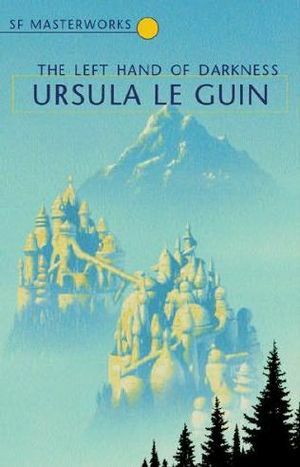 White The Once and Future King (New York: Ace, 2004 edition). To be sublime is to be “of such excellence, grandeur, or beauty as to inspire great admiration or awe” according to Oxford Dictionaries. As Alan Gregory has argued in Science Fiction Theology, scientific (or sometimes nearly magical) sublime frequently replaces transcendent reality in science fiction. I believe this can just as easily be noted within science writing as well. Neil deGrasse Tyson’s recent book, Astrophysics for People in a Hurry is a prime example of this subversion of the transcendent by explicitly naturalistic sublime. Tyson fills his book with language of the sublime. Simply looking at the table of contents shows how he has worked to replace religious themes with his own naturalistic paradigm. Chapter titles include “The Greatest Story Ever Told,” a reference to the popular biography of Christ of the same title; “On Earth as in the Heavens,” a play on the line from the Lord’s Prayer; and “Let There Be Light,” the opening line of the creation account in the Bible. These titles intentionally play on the transcendent themes from which they are are derived. These words spur a narrative of the universe from a purely naturalistic perspective. Of course, Tyson is not content to merely echo religious language; he must also make explicit that his naturalistic sublime is intentionally replacing God. The cosmic perspective finds beauty in the images of planets, moons, stars, and nebulae, but also celebrates the laws of physics that shape them. The cosmic perspective [gives an]… indication that perhaps flag-waving and space exploration do not mix. Thus, Tyson makes quite explicit his idea of the naturalistic sublime. It is scientific–by which he means naturalistic–and for all. Eschewing such petty things as definitions or clarity of terms, Tyson allows for spirituality and, generously, an amorphous and undefined notion of rdemption, but not religion in his cosmic sublime. The kinship of all with all is offered as a kind of final, ultimate sublime for all to finally be one (apparently Tyson forgot this idea had already existed in many of those “religions” he rejects, including his clear primary target, Christianity: 1 Corinthians 15:28, for example). But Tyson is not content to merely offer this vision of cosmic, naturalistic sublime to his readers. He closes with a commandment: to ponder these cosmic truths “At least once a week, if not once a day…” so that we may wonder at the way new discoveries may “transform life on Earth” (207). …some religious people assert, with a tinge of righteousness, that something must have started it all: a force greater than all others…. that something is, of course, God. But what if the universe was always there, in a state or condition we have yet to identify…? Or what if the universe just popped into existence from nothing? Or what if everything we know and love were just a computer simulation rendered for entertainment by a superintelligent species? Tyson’s tone is itself an intriguing study in deep irony. Even as he references those silly religious people who assert that God must have created the universe, he throws a dig out there about their self-righteousness. But just as he’s doing that, he turns around to, himself with no small amount of righteous-pride, assert his ignorance of the universe. He throws out a number of answers that he calls “philosophically fun” and then shrugs his shoulders. His own pride–his sublime–is found in the not-knowing. Though we know, according to Tyson, that the universe had a beginning, we should satisfy ourselves with ignorance and just ask “what if?” questions to pass the time. Tyson’s universe is itself the means, end, and glory. It is the non-transcendent, naturalistic sublime. As we’ve shown above, the universe itself is what replaces the transcendent for Tyson. Devotional rites are proposed. Religious language is wholly appropriate, in Tyson’s world, to use for the universe. It is the Greatest Story; It is the Beginning; It is the Light; Its Will must be done, despite our ignorance of it. It is the naturalistic sublime’s only hope. God help us. Beautiful insert art from “Goliath,” the third book in the Leviathan Trilogy. Scott Westerfeld is an extremely popular author of young adult literature. I recently dived into his “Leviathan Trilogy,” a series that tells an alternate history of World War I as steampunk. What is steampunk? Well… it’s hard to sum up, but for those not in the know, check out Wikipedia’s description. In this alternate history, the powers that split the world are aligned as either Clanker (using machinery, guns, and the like) or Darwinist (using genetically modified creatures to do battle). There will be SPOILERS for the series in what follows. The series begins with Prince Aleksander of Hohenberg, the son of the Archduke in the Austro-Hungarian Empire, being spirited away at night because people who do not want him to have any chance of becoming the Emperor are after him. Count Volger is one of those who have conspired to whisk him away. Volger’s character is interesting because although he is portrayed as largely unlikable from the perspective of Alek [Prince Aleksander], he is one of the most honorable characters in the series. Volger acts as a kind of moral voice, but one which is strongly tied to nationalism. Volger’s honor provides a framework for Alek to learn from, and he does so spectacularly when he acts rightfully to stop a potential mass destruction later in the series (see below regarding Tesla). However, Volger is not infallible, and his moral compass appears to be inherently tied to what is good for the Austro-Hungarian Empire and what he perceives is good for Alek. This is in contrast to a wider, broader vision of moral action which would allow for self-critique on a national level as well. Volger at points seems to see how his moral/nationalist vision puts him at odds with what he thinks is right and wrong, but his commitment to that system makes it difficult for him to get beyond it. Even if the reader thinks Volger is wrong, however, the honor he shows throughout the novels is something to be admired. The way that he acts selflessly at multiple points throughout the trilogy is noteworthy, and sets a strong moral example throughout the books. Again, this is interesting because from the narrator’s (Alek’s) perspective, Volger sometimes seems an insufferable grouch. However, Alek ultimately realizes the goodness of Volger, much to his own benefit. These reflections lead naturally to a kind of self-examination for those who tend to think of their own nation in exceptionalist terms. Although exceptionalism is not, in and of itself, a moral wrong, it can very easily lead to the pervasive, systematic injustice. 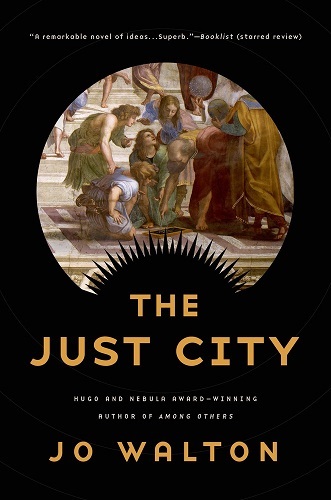 Volger’s character allows readers to examine this kind of thinking in a fictional setting, which makes it safer to think about while still engaging the reader on a deep level. A central aspect of the trilogy as it plays out over an alternate World War I is the unity and disunity between the concepts of war and justice. In Leviathan, Great Britain seems to enter the war purely due to some perceived obligation–it doesn’t want to see the “Clankers” win. By the time we get to the third book, however, the depth of the discussion is much greater. Tesla has apparently developed a weapon capable of wiping out entire cities. Is it just to use such a weapon to bring an immediate end to the war, if that means sacrificing millions of lives to save tens of millions? Thus, there are numerous questions about war and justice raised throughout the series. Some of these remain open questions–such as whether Great Britain in this example was right to wage war–while others are explored more thoroughly. One of these is Tesla’s attempt to use a weapon that allegedly can destroy entire cities. When he attempts to do so, Alek rushes to stop him, resulting in Tesla’s death. Here we see an act that might normally be considered a wrong–causing the death of another (though the moral status of its intent is something worth contemplating as well)–ends up being, ostensibly, a good. Ironically, Tesla’s weapon did not actually have the power he thought it did. Deryn Sharp has to pretend to be a boy in order to pursue a dream of serving in the air force of Great Britain. The subtle criticisms of male privilege found throughout the series is worth commenting on. One wonders whether we have actually overcome some of the clear biases against the capabilities of women that are mentioned throughout the Leviathan Trilogy. For example, resistance to women as firefighters, police officers, and the like persists in our time. Scott Westerfeld’s Leviathan Trilogy is a thought-provoking set of novels. It is also a beautiful story of love and adventure, with wonderful illustrations found throughout. It’s the best kind of story: one that makes you think. Dean Koontz is an insanely popular author, having sold over 450 million copies of his books. 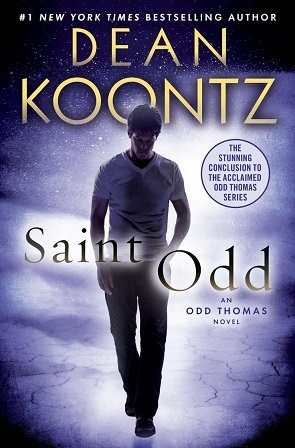 His Odd Thomas series has also been a stunning success. Here, I will take a worldview level look at the whole series. There will be SPOILERS for the whole series in what follows. I will not be summarizing the plots of these works, but brief summaries can be found on Wikipedia (follow internal links). I think the concept of “faithful goodness” best summarizes the main character, Odd Thomas. I call it faithful goodness because time and again, Odd has every reason to flee from doing right, yet he persists in doing the right thing. He believes in a higher order to the universe to which all–including himself–are held accountable, but this is not the motivation for his continuing to do what is right. Rather, he acts as a kind of sacrificial/Christ figure. He does what is right because that is his nature. Ultimately, that leads him to giving up his life to save others. “Saint,” indeed. Ultimate glory does not belong to evil. It will be extinguished. Although evil and violence persist in the world in which we now live, that is a temporary state of affairs. Christ our King will come to create anew, bringing life and vanquishing death. Yet this does not mean that we can ignore evil now, or that we should be apathetic toward it. Like Odd, we must persist in fighting it, faithfully clinging to the reality that God–the ultimate Good–will triumph in the end. Hope is a defining and central feature of the Odd Thomas series. Whether it is Odd’s hope to be reunited to his lost life, Stormy, or the eschatological hope for the final consummation of the Kingdom, it is this reality that drives Odd and gives him comfort even amid the most vile circumstances. It is worth noting that Odd’s hope is ultimately focused towards the hereafter, rather than the present world. Christians should also remember that our current reality is not what we should try to ground all our hopes in. We can gain the whole world, yet lose our soul. Our final hope must be grounded in the coming of God’s kingdom and the New Creation. Dean Koontz’s works continually show the workings of Christian faith and a worldview that allows for mystery in the universe. I highly recommend picking up some of his books to explore the integration of the Christian worldview into fiction, and the way they can be woven together. I will give a warning: they are for mature audiences only. Saint Odd– Anthony Weber reflects on the final book in the series, Saint Odd, from a Christian perspective. I highly recommend this post and also following his excellent site. Cordwainer Smith (actual name: Paul Myron Anthony Linebarger) was an expert in psychological warfare, a scholar of Eastern Asia, an Anglican, and a science fiction author, among other things. He wrote a number of short stories and one novel all set in the same universe–our own. These stories go from the past into the far future and put forward a vision of the future that is at once hopeful and bleak. Here, I’d like to discuss a few themes in the works of his I’ve read, collected in a volume called We the Underpeople by Baen. There will be some minor Spoilers in what follows. A prominent theme found throughout Smith’s work is the discussion of free will and determinism. The “Rediscovery of Man” is a time period in which members of the Instrumentality decide that they need to change the world such that people aren’t always happy any more. You see, they made it so that accidents wouldn’t happen (or if they did, prompt healing was available), people wouldn’t say bad things, and the like. If someone did get unhappy, they were brain wiped and reconditioned. Everyone’s happy, see? Yet the members of the Instrumentality argued and finally allowed for some unhappiness to be allowed back into people’s lives: the Rediscovery of Man. Smith here notes that human freedom is something that is at the core of our being. Without it, “happiness” falls away into determinism. We may be “happy,” but it is a happiness that is not truly experienced or real. The feelings might be there, but the reality is not. The human capacity for wrongdoing and suffering is there, but it must be in order to have the capacity for truly experiencing and enjoying happiness and delight. A challenge might arise here: what of heaven? I think this is a tough question, and one that I admit I have no answer I feel firmly about. It’s possible that the choices we make are, over time, enough to solidify us into a sinless existence (a position of Greg Boyd). Perhaps instead, the renewal of our minds that takes place in the New Creation helps us to avoid doing those things that we would not like to do but find ourselves doing in our fallen state. The poignancy of this theme hits close to home when we consider those people who are often set aside in our own world. Things like the Rwandan Genocide are allowed to happen by those we have put in power because there aren’t resources there deemed worth protecting; people are allowed to starve to death because we don’t want to give “handouts,” and the like. How might we as Christians work to correct the wrongs in our own world done to those we have deemed “underpeople”? Forgiveness is a major theme in Smith’s novel, Norstrilia. The main character, Rod McBan, is attacked by a bitter man, the Honorable Secretary, who is upset that he cannot also have his life extended for a very long time. At a pivotal scene in the book, McBan forgives the Honorable Secretary for the attacks. However, he also forgives himself, for he had–even in thought–mocked the man and his inability to get the same treatment as everybody else to extend his life. McBan realized that his own behavior towards the Honorable Secretary had, in part, lead to the man’s wrongs. It is a stunning change in the tenor of the plot thread, for the reader had been prone to sympathizing with the main character and forgiving his own “innocent” jabs at the man who tried to kill him. Yet here, Smith elegantly points towards the need for mutual reconciliation and the need to confess one’s own sins. It is masterfully done and speaks very highly of the power of forgiveness. Cordwainer Smith masterfully wove his Anglican worldview into his science fiction, but he did so very subtly. I haven’t even touched on some of the other messages conveyed in his body of work, such as the allegorical story of Joan of Arc. There is much to contemplate in the works, including human freedom and the need to forgive. I highly recommend his science fiction to my readers. 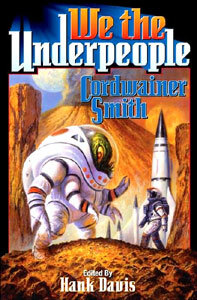 Cordwainer Smith– Another blogger writes on the themes found throughout Cordwainer Smith’s science fiction.